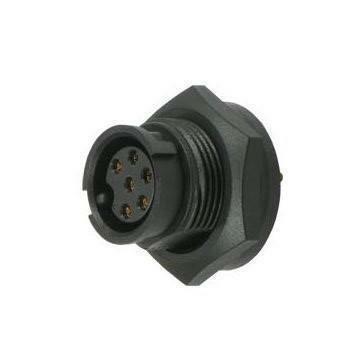 The waterproof circular connector supplied by GT Contact (GTC) has weather tight and rugged receptacle as well as sealed plug housing to protect cable connection from water or dust invasion. GTC carries a full range of environmentally waterproof connectors from waterproof circular connector to watertight USB connector cable, offering safe and durable connections in harsh environments with IP rating including IP67, IP68 and IP69K for a wide range of applications. The waterproof circular connector series designed with advanced level of water and chemical resistance is basically applied to wireless outdoor AP, outdoor LED display and lighting, outdoor lamp, industrial electronics, marine, automation machine and IPC/Military NB. The waterproof-resistant technology is guaranteed for the sealed waterproof connector has been tested in a 1M depth water environment for 30 minutes. Apart from the material to make waterproof circular connector, we also focus on the process. With a strict monitoring system, we are confident in providing our customers the high quality products. We also offer customized products and blueprints discussion services to accommodate customers’ satisfaction. If you are willing to know more details about us, please visit our website at www.gtcontact.com and contact us today! Dielectric Withstanding Voltage 1500 V AC contact-to-contact, for 1 minute. Contact Resistance 10mΩ at 10mA Max. Durability 4000 cycles insertion/extraction cycles at a maximum rate of 200cycles per hour. Waterproof Test Under 1 M water for 30 minutes.